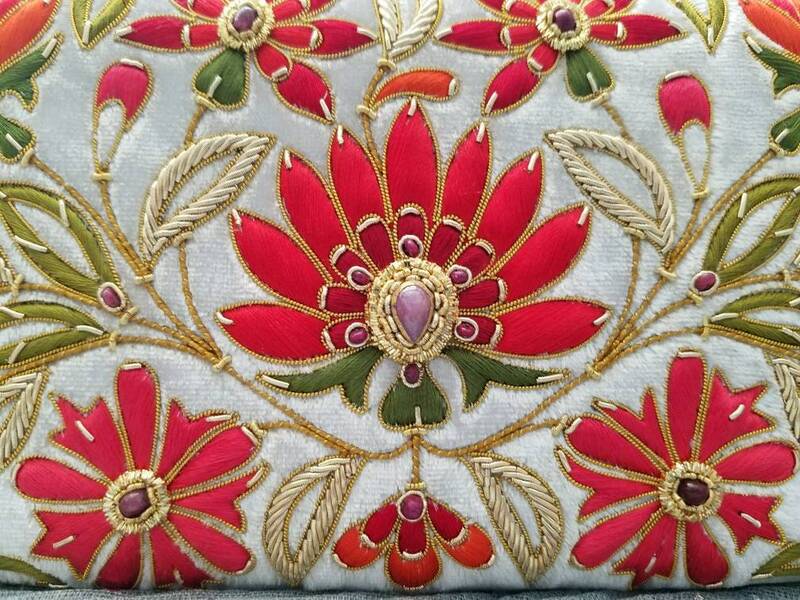 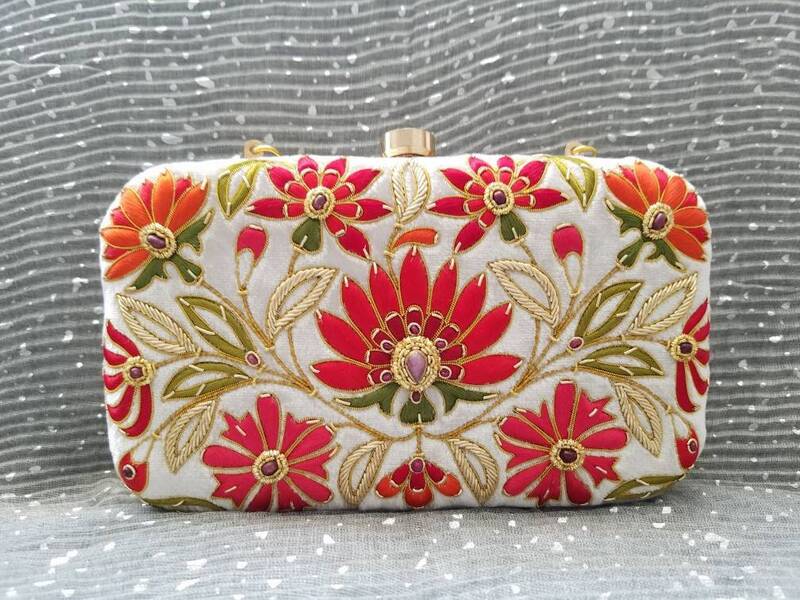 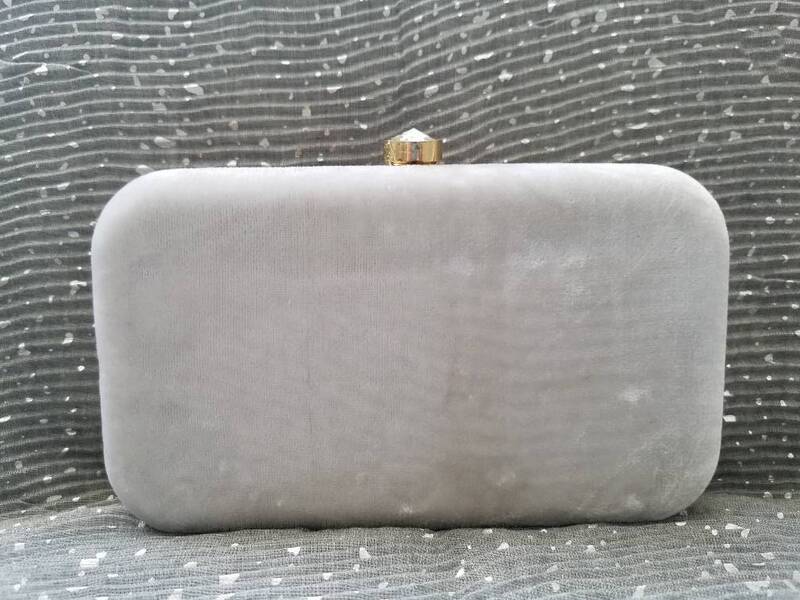 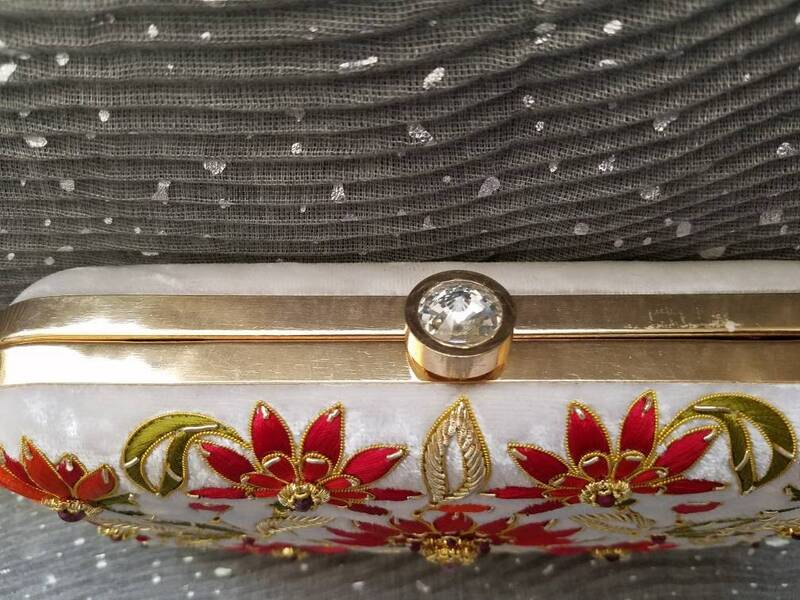 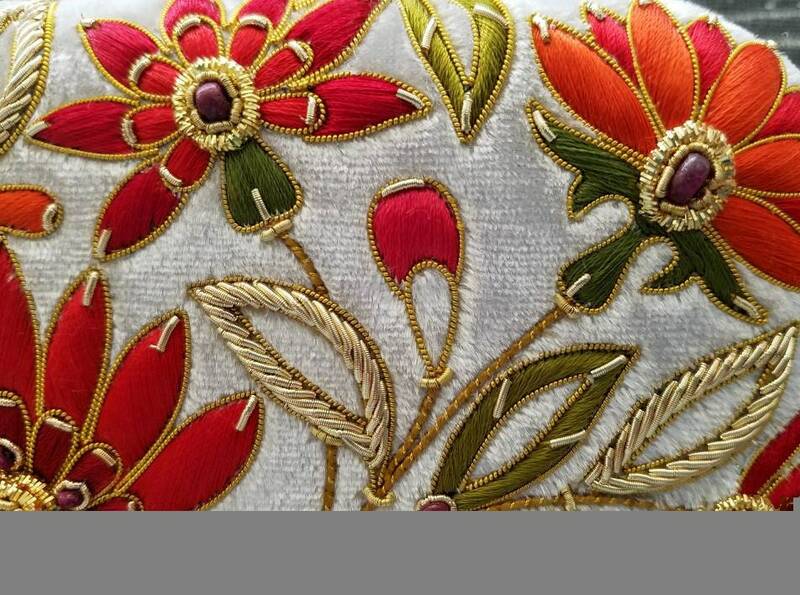 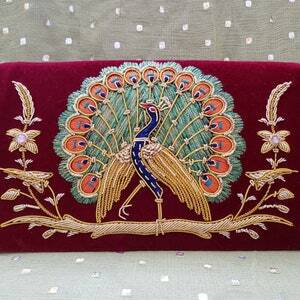 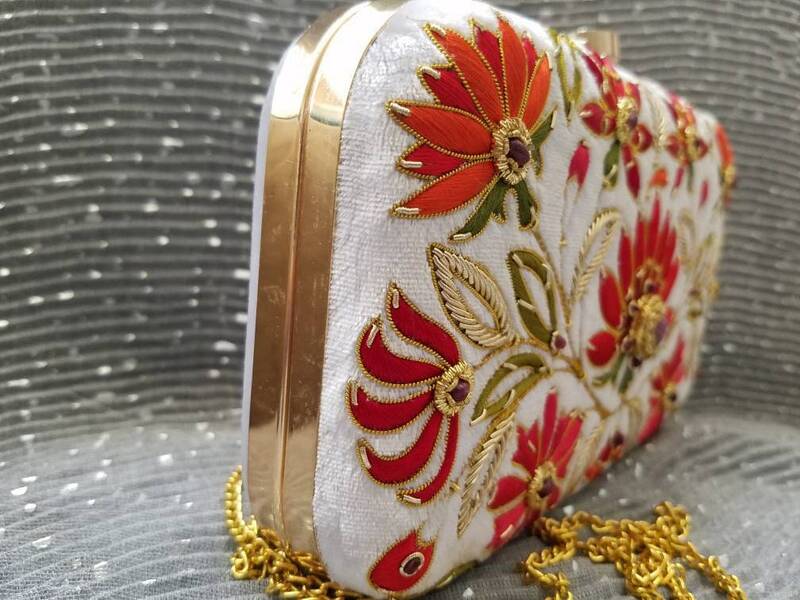 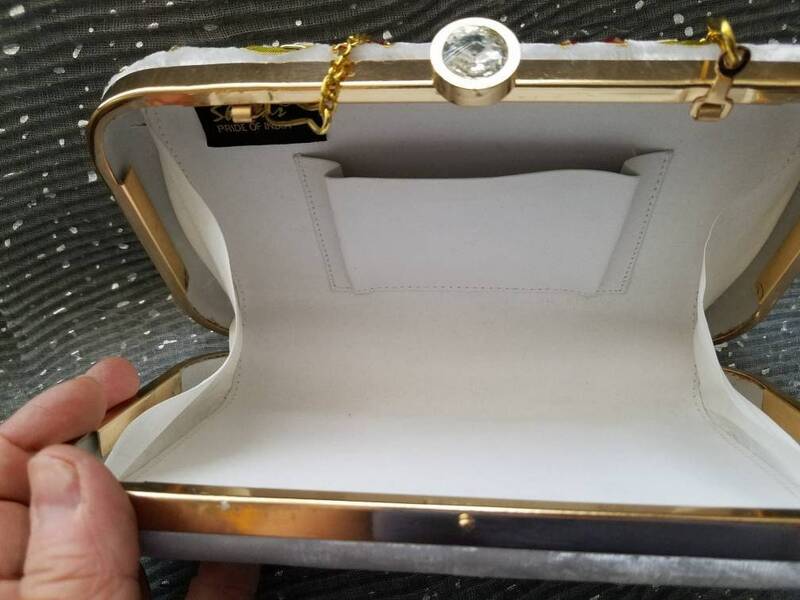 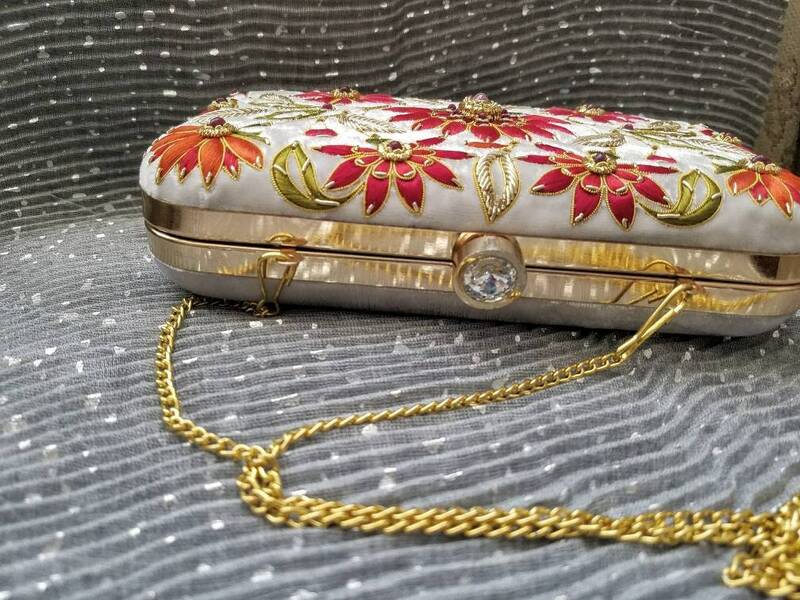 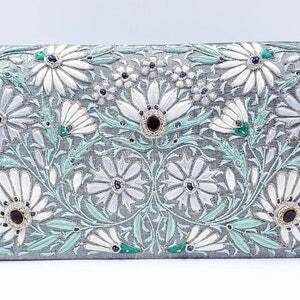 Make a statement with this stunning hand embroidered white/silver colored velvet hard case clutch, using silk threads and gold colored metallic threads, in the zardozi tradition. 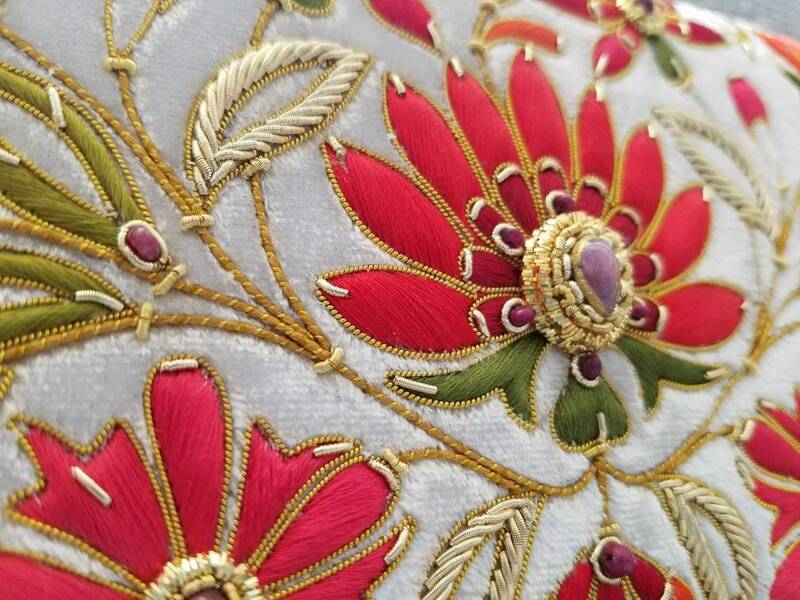 Genuine polished star ruby stones sewn into the center of each flower, giving a 3D effect. 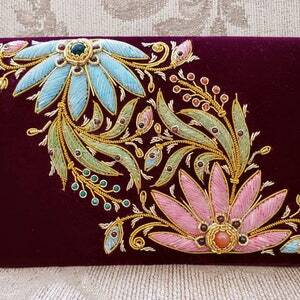 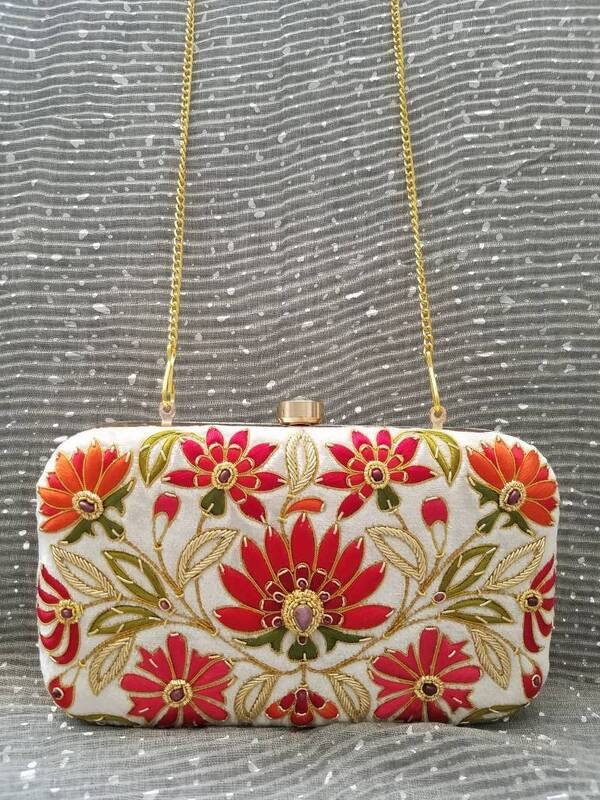 - 8 " W x 4.5 " H x 2 " D.
- sateen lining, with one credit card slot. 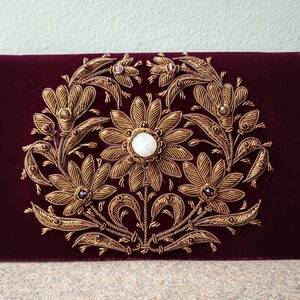 - detachable gold tone chain, drop of 24 in.